Very handy filter for Compact and Mirrorless Camera. Possible to attach lens without filter screw. 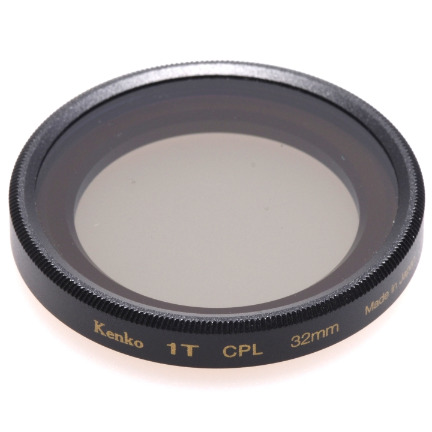 The Kenko 1T 32mm One-Touch CPL/UV Filter is a great solution to enjoy the benefits of full-scale photography even with a compact camera such as for S120, RX100, RX100II, WX350, etc. Since it utilizes a magnet, it is easy to attach through a mounting ring. High transmission PL film is used so a natural light is reproduced even as polarization is being carried out. Since this C-PL filter is also equipped with the capability to absorb UV light, it can be used as a UV/C-PL filter.